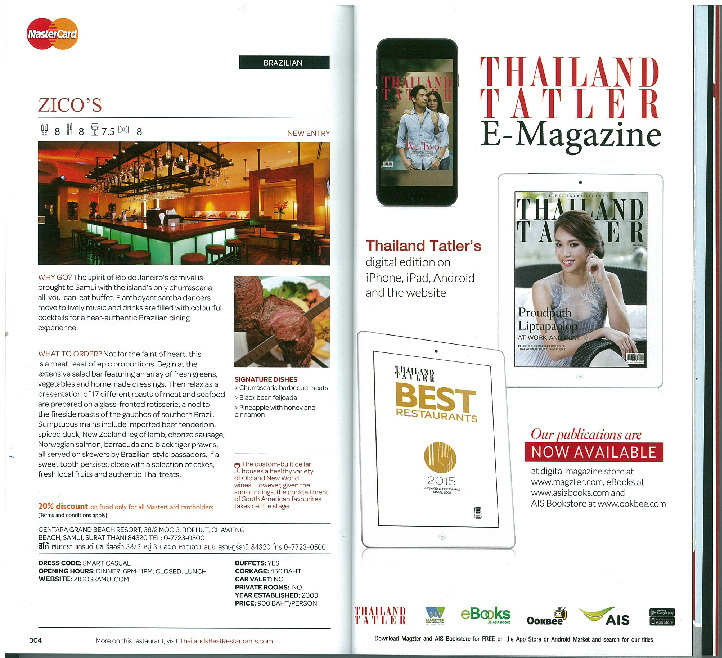 Zico’s Brazilian Grill and Bar is owned and operated by Centara Hotels & Resorts. This popular dining venue opened its doors thirteen years ago after the Centara brought specialist consultants all the way from Brazil to ensure their dining experience was as authentic as possible. They certainly succeeded in their wish and have brought authentic music, samba dancers and Brazilian cuisine and cocktails to the shores of Koh Samui. 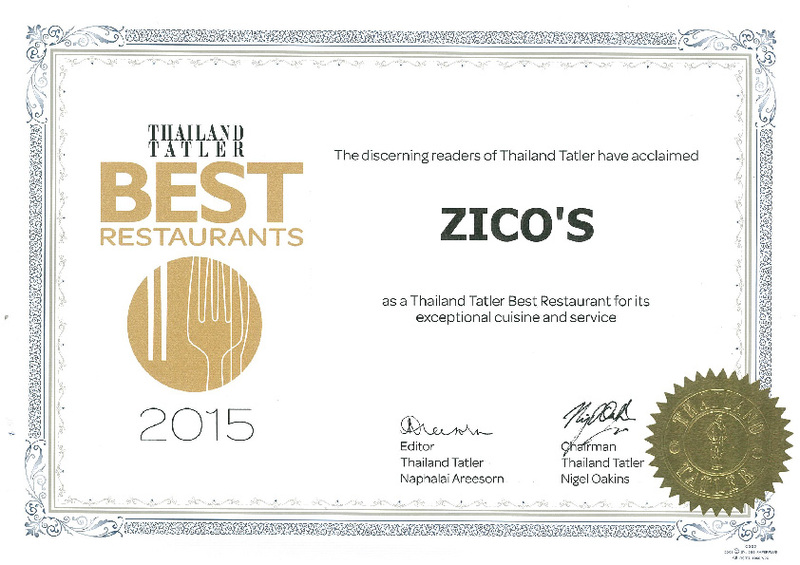 As popular today as when they first opened it is no surprise that the restaurant has been selected for inclusion in Thailand’s Tatler’s Bests Restaurants 2015. The guide features all new reviews of Thailand’s top restaurants as selected by Tatler’s readers. 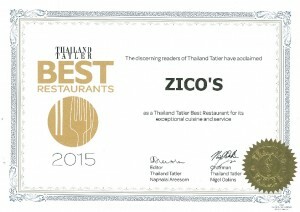 The dining experience at Zico’s is like no other serving up the ultimate Brazilian barbecue with a huge choice of succulent meats and fish that are cooked inside a glass rotisserie. Waiters serve cuts directly to your place from steel skewers as Brazilian tunes drift down from the bar and Brazilian dancers bring the carnival right to your table. “What to order? Not for the faint of heart, this is a meat feast of epic proportions. Begin at the extensive salad bar featuring an array of fresh greens, vegetables and homemade dressings. Then relax as a presentation of 17 different roast meat and seafood are prepared on a glass fronted rotisserie: a nod to the fireside roasts of the gauchos of southern Brazil. Sumptuous mains include imported beef tenderloin, spiced duck, New Zealand leg of lamb, chorizo sausage, Norwegian salmon, barracuda and black tiger prawns all served on skewers by Brazilian style passadores. If a sweet tooth persists, close with a selection of cakes, fresh fruits and authentic Thai treats”.